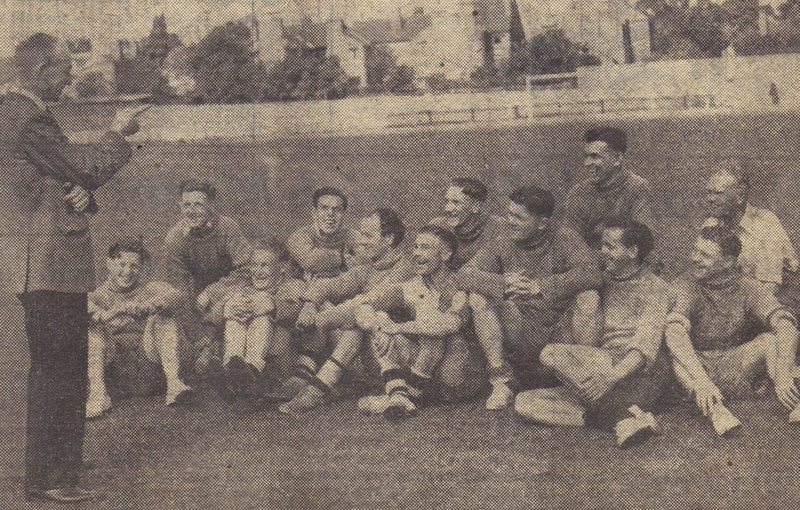 Believed to have been taken in the late 1940’s, this picture shows manager Harry Hibbs giving the players a talk during a training session on the Fellows Park pitch. In the background is the Hillary Street End as it looked up to the mid 1960’s uncovered. Bristol City Hooligans Outside Fellows Park, 1988.